The Friends' Books For Soldiers program was started in December of 2003. The purpose of this program is to provide articles and encouragement to our armed forces. With your help we can reach even more. We send a minimum of 7 large boxes of books, sundry items, computer games, movies and snacks monthly to all Branches of the Armed Forces. They have been sent to Korea, Iraq, Afghanistan and Africa. We've help start a Library for a Chaplain in Iraq, a Company library that several hundred share and provide school supplies and workbooks in Bosnia along with individual requests that supply a group or individuals. There are several ways you can help our soldiers. 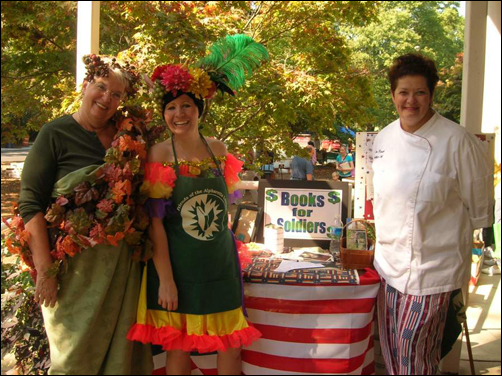 Donate to the Books For Soldiers program at the monthly book sales, held the first Saturday of each month at the Alpharetta Branch Library (10 Park Plaza Alpharetta, GA). Donate to the Books For Soldiers program by mailing a payment to Alpharetta Branch Libraray, FOTAL, 10 Park Plaza Alpharetta, GA 30009. Make checks payable to FOTAL and be sure to note that it is for the Books For Soldiers program. Write a note to a soldier using the postcards found at the Alpharetta Branch Library (near the checkout counter). Just drop your note in the collection box next to the postcards. We'll pick it up and mail it with books to a soldier! 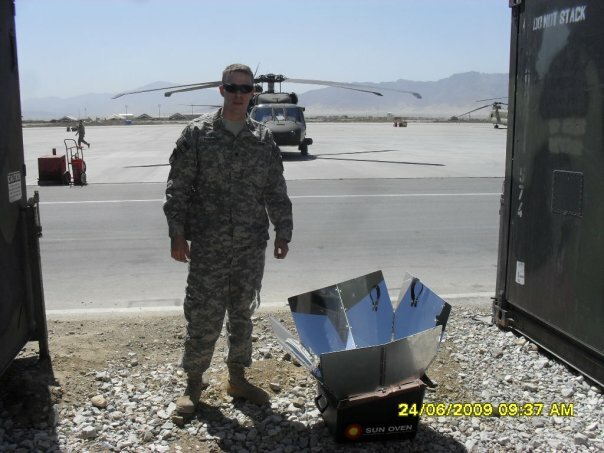 "This soldier had posted a request for 'anything from home' on the 'Books for Soldiers' website. I sent him a few books and DVDs along with some snacks. Many times you never know if a package has been received by the men and women or where they are in the world. Then, sometimes, you get a wonderful note back from the person saying they received your Care Package, enjoyed a movie that took them away from the daily grind of military life and shared the contents with their buddies. To add to this, sometimes you get a little glimpse of what's going on - like cooking on a Sunoven, which I guess is a solar powered stove! This 29 year old boy from Atlanta, GA (so his Facebook says) is in Afghanistan."